ATTENTION: Sustaining, Patron and Benefactor Members ! The Zeeland Historical Society is pleased to announce a new benefit for membership levels: Sustaining, Patron and Benefactor. 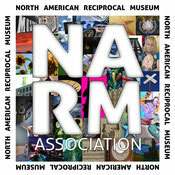 To date NARM has over 850 arts, cultural, and historical institutions along with botanical gardens, children’s museums, and science and technology centers in the United States, Bermuda, Canada, El Salvador and Mexico. For more information, visit NARM.